Locality: U.S.A., Wyoming, Lincoln, La Barge Meadows at Little Corral Creek just S of Salt River Range, 31 miles W of La Barge, Bridger National Forest. Verbatim Coordinates: T29N S18 R116W . 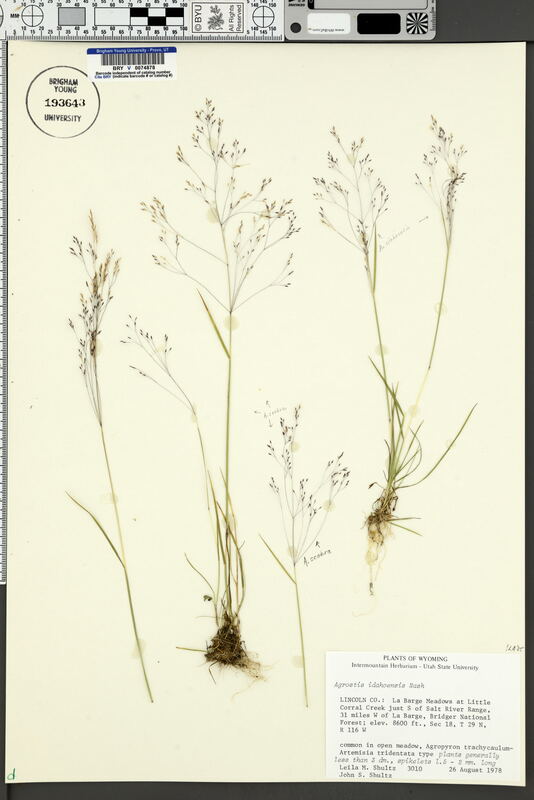 Associated Species: With Agropyron trachycaulum-Artemisia tridentata type.